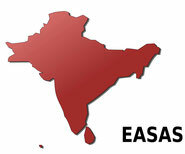 due to the technical delays in facilitating membership applications the organisers of the European Conference on South Asian Studies (ECSAS) 2020 in Vienna have decided to extend the deadline for the submission of Panel Proposals. The Call for Panels will be open until 5 May, 2019. The 26th ECSAS (European Conference on South Asian Studies) will take place at the University of Vienna (Austria) from 29 July to 1 August 2020. Comprehensive information regarding the next conference will be made public here in appropriate time and the current status updated. More content will be added in due course. The 26th European Conference on South Asian Studies (ECSAS) will be held at the University of Vienna, Austria, from 29 July to 1 August 2020. On behalf of the European Association for South Asian Studies (EASAS) and the Academic and Organising Committees we cordially invite you to submit panel proposals. There is a long tradition of South Asian Studies in Vienna, both at the University of Vienna and at the Austrian Academy of Sciences, going back to the mid-19th century. While a strong focus has been on South Asia’s premodern period, recent decades have witnessed a process of historical as well as disciplinary expansion. South Asian Studies in Austria today covers a wide range of disciplines and interests, and extends across several institutions. Against this background the motto of the Vienna conference will be “Reflecting on Discipli­nary Boundaries”. We particularly welcome panels which reflect on disciplinary boundaries and promote trans-, inter- or multidisciplinary approaches. All panel proposals must include the title of the panel, the name(s), affiliation(s) and the EASAS membership number of the convener(s), a contact e-mail, and a short and long abstract of the panel topic. Innovative elements of the panel should be particularly high­lighted. Names of tentative paper contributors may be included (optional). The short abstract must not exceed 300 characters, long abstracts must not exceed 1700 characters and should be text only. Please keep in mind that all panel proposals (and sub­sequent papers) must be in English. For the complete Call for Panels click here. The 25th ECSAS (European Conference on South Asian Studies) took place at the Centre d'Études de l'Inde et de l'Asie du Sud (Paris, France) from 24 to 27 July 2018. The 24th ECSAS (European Conference on South Asian Studies) took place at the University of Warsaw (Poland) from 27 to 30 July 2016. The 23rd ECSAS (European Conference on South Asian Studies) took place at the University of Zürich (Switzerland) from 23 to 26 July 2014. The 22nd ECSAS (European Conference on South Asian Studies) took place at ISCTE-University Institute Lisbon (Portugal) from 25 to 28 July 2012. The 21st ECSAS (European Conference on South Asian Studies) took place in Bonn (Germany) from 26 to 29 July 2010.